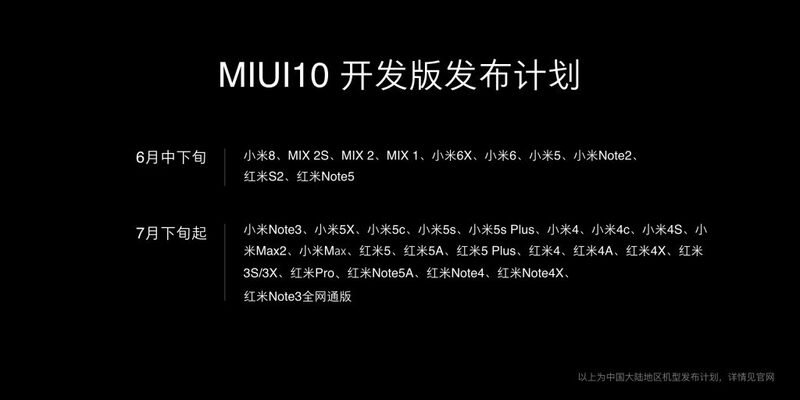 Xiaomi has released the list of smartphones that will get MIUI 10 update. The company has revealed that these 28 devices will get a stable MIUI 10 update once the beta testing program ends which is expected on July 24. However, they have not confirmed the exact rollout schedule. The Chinese smartphone maker is known for timely updates of its MIUI and it pushes the firmware update to even its older devices. Xiaomi announced its latest MIUI 10 interface back in May and it was initially available only as China internal ROM. The company will now be preparing for a global stable release of MIUI 10 in India. Surprisingly, there is no sign of Redmi 6 series (Redmi 6, Redmi 6A, and Redmi 6 Pro) which are the latest smartphones from Xiaomi in China. Considering the phones are new, Xiaomi would probably bring the MIUI 10 update to the Redmi 6 series as well. The company has not mentioned a date or timeline with regard to the MIUI 10 Global rollout as of now, however, it is likely that the MIUI 10 update should start rolling out to the above-mentioned smartphones after July 24.